In the world of boating you have several types of boats. Many of them are very specific such as technical poling skiffs on one end of the spectrum and large sport fishing boats on the other end. For the average boater, either one of these options aren’t what they are searching for. A very popular style style boat and the staple of many boat manufactures are the models that appeal to a larger audience. 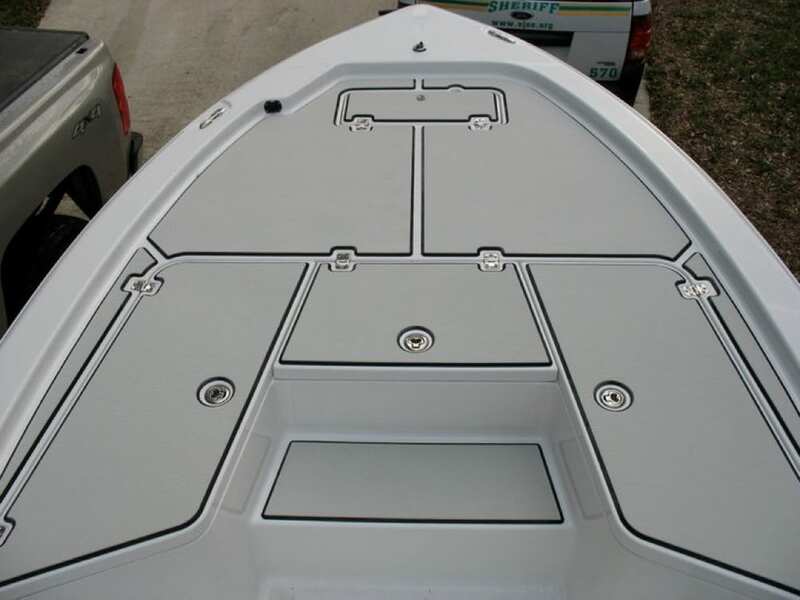 The bay boat market is huge especially in Florida because of the versatility it offers. While you may not be able to pole it on a shallow flat in Mosquito Lagoon, you can use a trolling motor to run deeper edges or bars searching for fish. 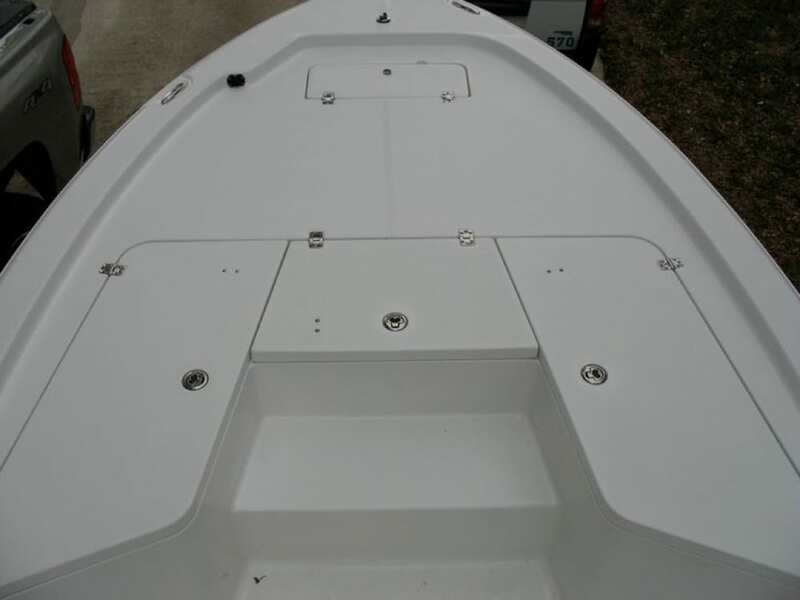 The higher freeboard also allows you traverse open water safely and comfortably. A bay boat also makes a great family boat because you can carry more people and many of them are setup with flip up and forward seating to make it comfortable for the wife and kids. 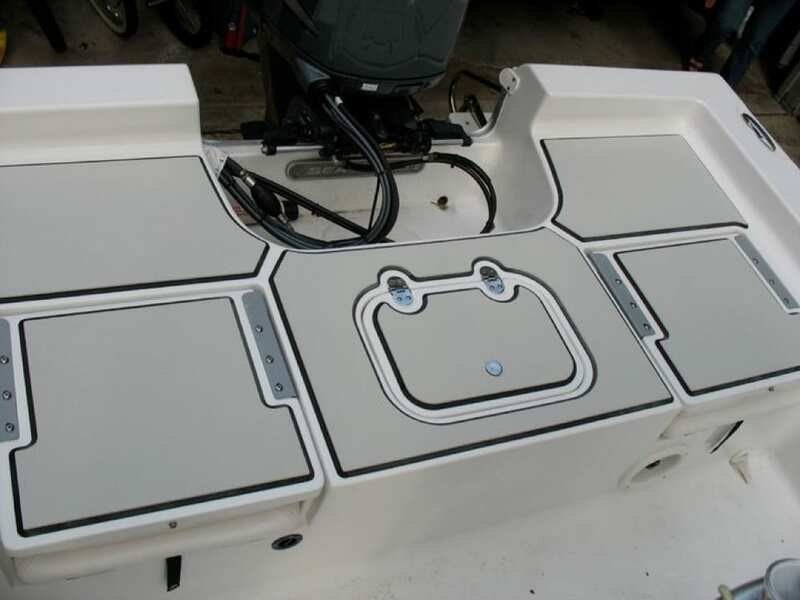 Those added comforts were the draw for this particular customer and he decide to go one step further in order to make his boat a little more comfortable and safe for the family by adding custom SeaDek. 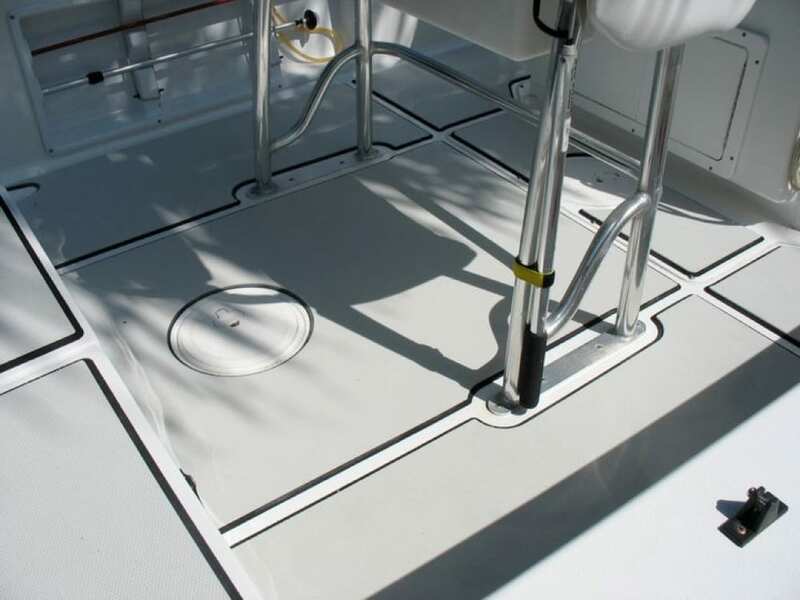 On this particular job the owner had a few issues with slipping on the deck so the non skid provided by the SeaDek, even when wet, had great appeal. 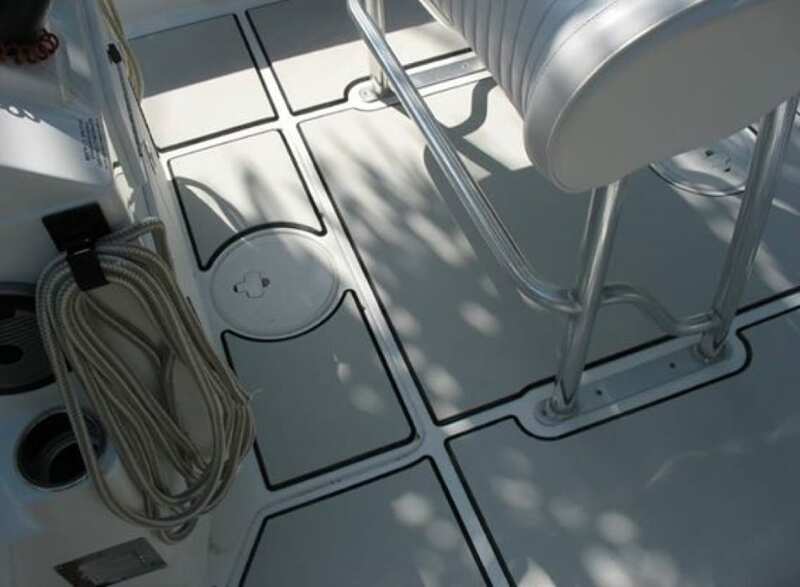 For standard deck and floor applications either a single color 5mm or a two tone 6mm, a combination of two 3mm colors combined, are what Castaway Customs recommends. This particular customer was looking for something that would provide a little more cushion for his family to layout on the decks of the boat, so we decided to go with an 8mm thickness. The cool gray over black color combination is very popular and looked great as it added some slight contrast. 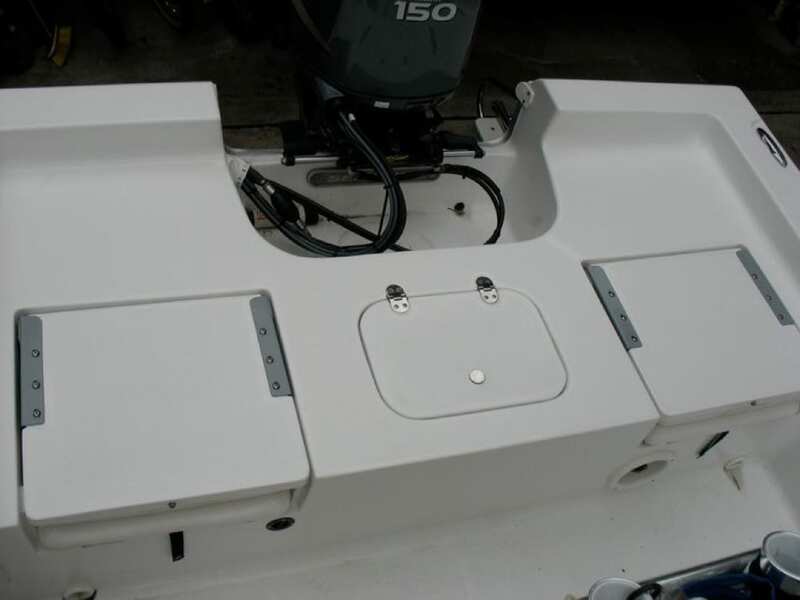 Whether you are looking to completely deck out a boat or simply just add a helm pad or some coaming bolsters, if you are looking to add any SeaDek to your bay boat whether it be a Sea Hunt like this particular boat or any other brand like a Pathfinder, contact Castaway Customs at info@castawaycustoms.com.